How gorgeous is this wooden bookmark for my (long) short story (feat. 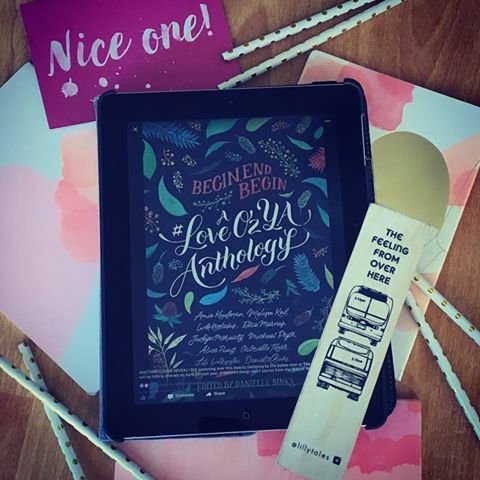 in the #LoveOzYA anthology edited by Danielle Binks)?! “The Feeling From Over Here” is a contemporary YA that takes place on an overnight coach from Canberra to Melbourne. How would you react if you were forced to face the person who hurt you in early high school? Who stood back and let others bully you? Who let you down when you needed them most? Can’t wait to share this one with you, dear readers!